EMC, schmee-MC. We’ve got GE now. General Electric, one of the world’s biggest companies, will relocate its global headquarters from Fairfield, CT, to Boston, as first reported by the Boston Globe. General Electric (NYSE: GE) has a market capitalization of $285 billion, which will make it by far the biggest publicly traded company based in Massachusetts. For comparison, Biogen’s market cap is about $60 billion, EMC’s is $47 billion, Vertex’s is $25 billion, and TripAdvisor’s is $11 billion. GE’s valuation is comparable to that of Facebook or Amazon. Like other big, established companies, GE has been investing in software and innovation in areas like healthcare, Internet, and smart manufacturing. 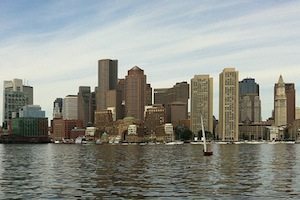 It sounds like the combination of Boston’s educational institutions and tech and life sciences businesses—along with state aid and tax incentives, of course—swung the decision in Boston’s favor. The Globe report notes that “GE’s choice cements Boston as a hub of innovation in technology and life sciences.” The truth is, Boston innovators will need to do much more to remain competitive. But now they have a new and powerful ally to help them do just that.